What can one ask more for, when the country’s most famous and lip-smacking brands of Momos and other delicious food items have come under one roof of Delhi Food Truck Festival. This festival is not only celebrating different flavors of food but also the unique bond between the people for their love for food. Name the brand and we have it all set up for all our food lovers. Starting from the very popular brand, “Flip”. It is a very authentic eating brand for its tastiest burgers, momos, and kinds of pasta. Even its logo says it, “Flippin Good Burgers”. Flip’s fries, cooking oil, loaves of bread and sauces are all very unique and fresh, which greatly contributes to give the taste which manages to tickle the taste buds of its customers. “Love Bite Momos”, has it within its name. The feeling of tasting the yummiest, soft yet mouth-watering momos is a paradise for every foodie. This brand is literally capable of giving us the best “momos-goals” with their different varieties of tandoori, fried and steam momos. “WOW Momos”, yes it the same brand, we find every Delhi person going mad over. They have actually given new dimensions to the momo land by introducing the one and only, “Momo’s Burgers”. One would be surprised to know that this eating joint also serves some of the Tibetan cuisines and also some exciting desserts, such as chocolate momos. 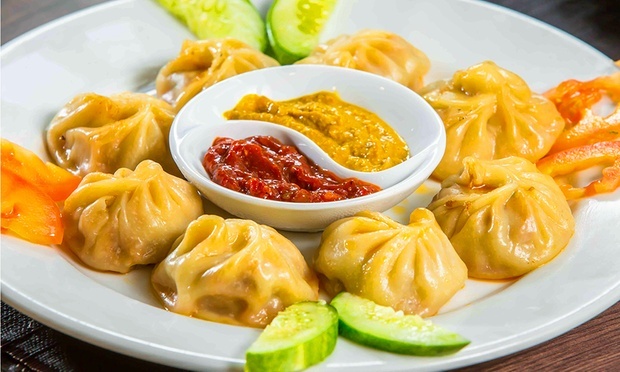 The “Momo King” is yet another food joint serving hot, steaming, fried and what not other variety of momos. They have a cute and attractive food counter and serve varieties of momos starting from steamed ones, peri-peri momos, paneer and cheese momos and what not. When it comes to talking about their prices, one must mention their genuine price and the amazing food quality. “Momo Box”, yes the list for our momo junctions are way longer than you expected. Hadn’t we only talking about momos, this brand has also bought the spicy flavour of Manchurian along with the tastiest combination of momos and Manchurian. If one is a non-veg lover, that person would have a really hard time on deciding whether the veg momos or the non-veg ones tastes better. Having talked about only food and food as this Delhi Food Truck Festival is all about that. This event should be at the top of the check-list of every person who enjoys and celebrates food. It is wisely said, if one has tasted different flavours of food, one has partially managed to travel the different parts of the world by just being at one place”. This Delhi Food Truck Festival is all about that. Everyone should gear themselves up for some exciting yet delicious food experience for a lifetime.